Lee Kaplan is one of the most marketing-savvy real estate agents in Houston. She brings more than 20 years of marketing and media relations expertise to her listings and real estate business. Lee has called Houston home for more than 20 years and is a natural with relocating clientele and first-time homebuyers as she understands the nuances of Houston's finest close-in neighborhoods, schools, parks and amenities. Her articles on relocation, first time home buying and neighborhood market commentaries have been published in the Houston Chronicle and Houston Business Journal. Time and again, clients select Lee when they need an open house specialist and a listing leader who guarantees results. She is known for creating individualized marketing plans, complimentary designer-led staging, professional photography and direct mail and web campaigns...all to showcase a home at its best. Lee has made a science of hosting effective Sunday Open Houses. Her events are filled with personal touches like fresh flowers, the latest neighborhood news, providing a warm welcome for attendees...resulting in a quick turnaround for her sellers. Lee majored in Marketing and Journalism at the University of Alabama. In her free time, Lee enjoys making the community a better place. She is an active member of the National Charity League and Tri Delta Mother's Club. 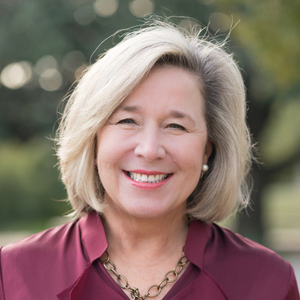 Lee has been a leader for many fundraisers including the Children's Museum Gala, the American Heart Association, the Episcopal High School Auction, the Episcopal High School Garage Sale and St. Luke's UMC Pre-School Auction. Lee is a former executive board member of West University Elementary School. In her free time, she loves traveling to the beach and mountains with her family.